Akela's Council Cub Scout Leader Training: Cubmaster's Minute "Advise from Lightening..." ~ Scouter's Minute ~ Power Up! 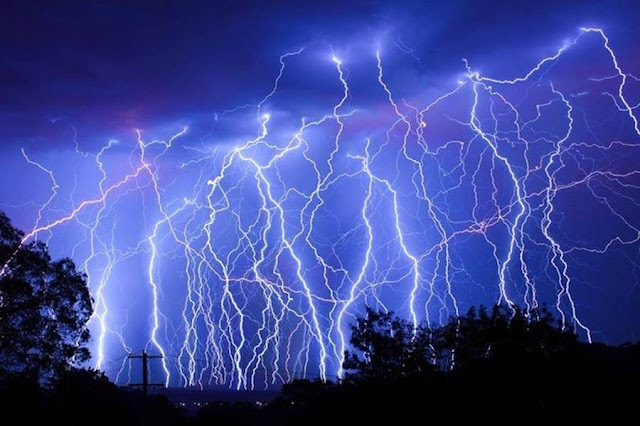 Cubmaster's Minute "Advise from Lightening..." ~ Scouter's Minute ~ Power Up! Scouter's Minute - for the April 2017 Theme "Power Up!" *Follow the flash of inspiration: Listen for that little voice, wherever you believe it comes from, that tells you what your Cubs need. The more you listen and heed it’s advice, the more you’ll hear it! *Stay current: Do what works for you to keep up-to-date with information about the Cub Scout program. Oh yeah, and come back to Roundtable! *Spark new ideas: Share your knowledge and ideas with others. You’d be amazed at what they’ll come up with after a little spark from you! *Light up the night: Be an example to those around you, whether it be in your Den and Pack, neighborhood, church group, or family. Show them what it means to Do Your Best! *Charge ahead! : Find something that needs doing and get it done! You have talents and skills that are just waiting to be used. Don’t be afraid to show them off. Taken from the Hobble Creek District Facebook page. Labels: Cubmaster Minute, Theme - Power Up!